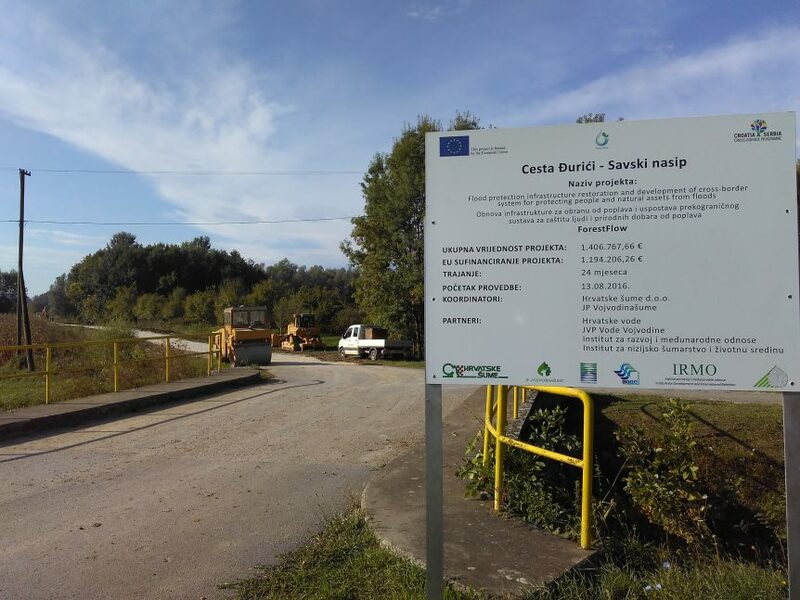 In September 2017 field works have started on the reconstruction of the road Đurići – Sava River dike, as one of the infrastructure projects planned for reconstruction within the ForestFlow project. 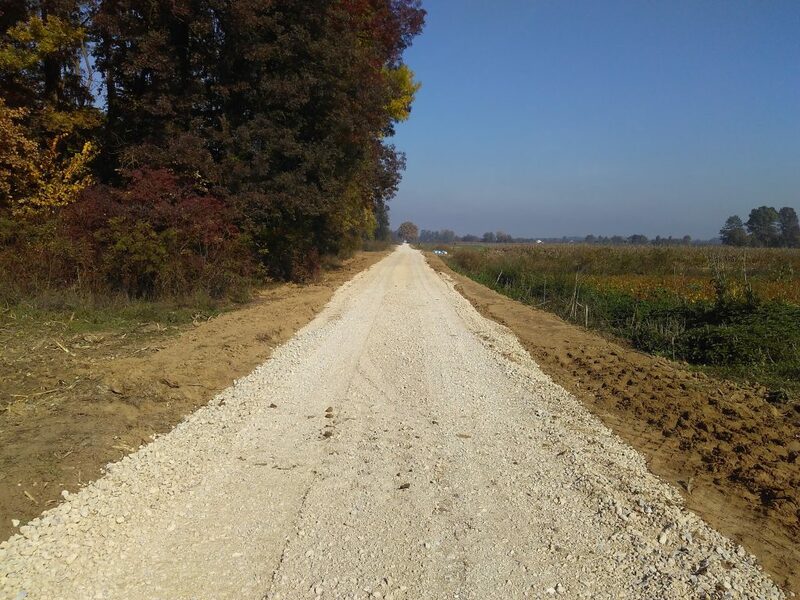 The road is located in the municipality of ​​Gunja and Drenovci in the Republic of Croatia. During the catastrophic floods in 2014 the road suffered major damage and lost most of its functionality. 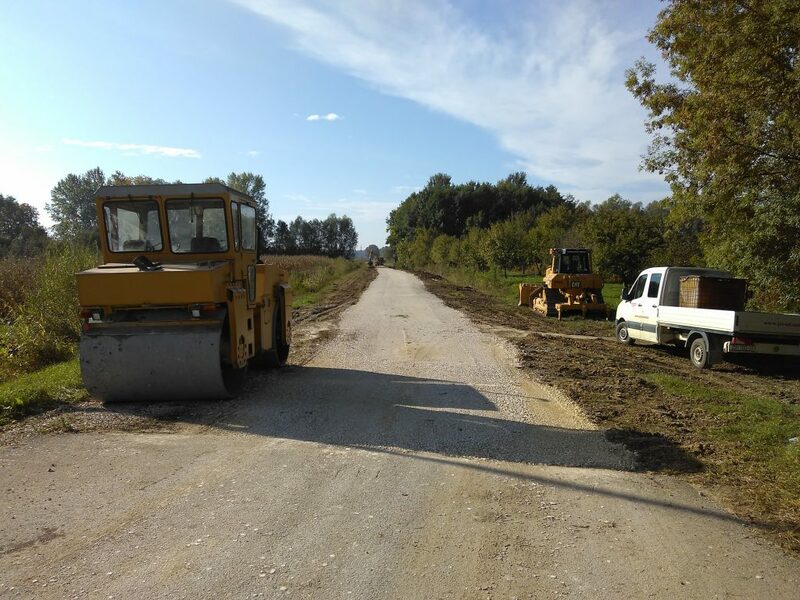 Its reconstruction will enable Hrvatske vode to have a faster and easier access to the dike for maintenance, better preparation and intervention in case of future floods. Foresters will be able to manage and reconstruct forests, and the local population will have better access to their agricultural areas throughout the year. 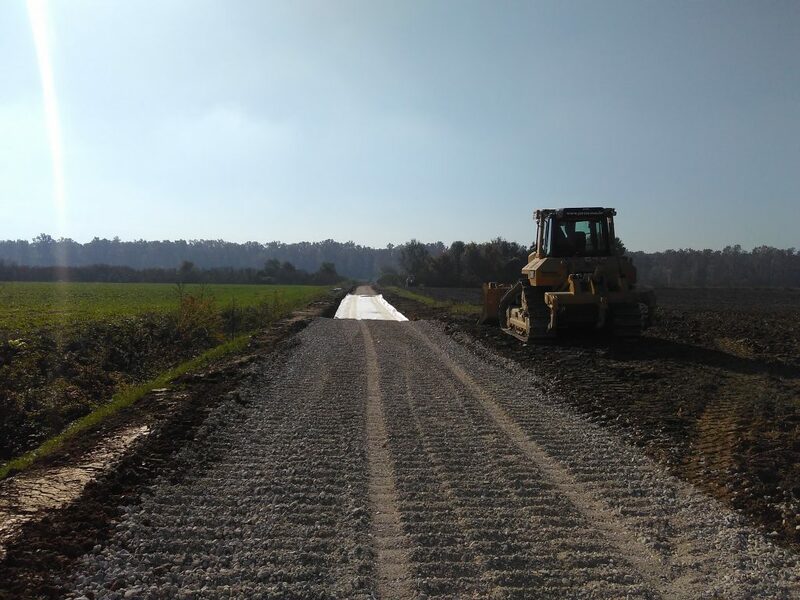 Road works have started with the reconstruction of lower section of the road in length of 2 kilometers, whereby the soil is stabilized by removing the humus, followed by machine leveling, rolling of embankment and bedding foundation with static roller. The content of this website reflects solely the views of its authors. The European Commission is not liable for any use that may be made of the information contained therein. 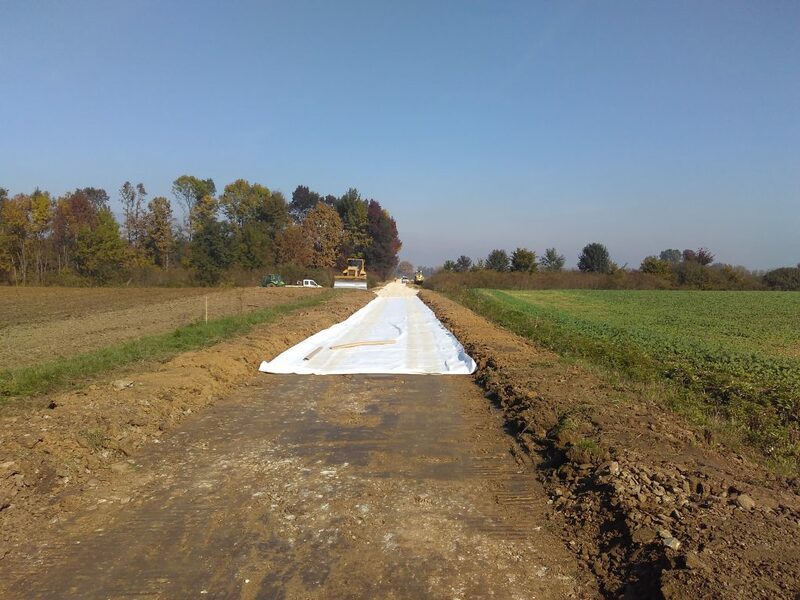 The ForestFlow consortium members shall have no liability for damages of any kind including, without limitation, direct, special, indirect, or consequential damages that may result from the use of these materials. Design and development: Prospekt d.o.o.